Saw this book on display in the library and grabbed it. 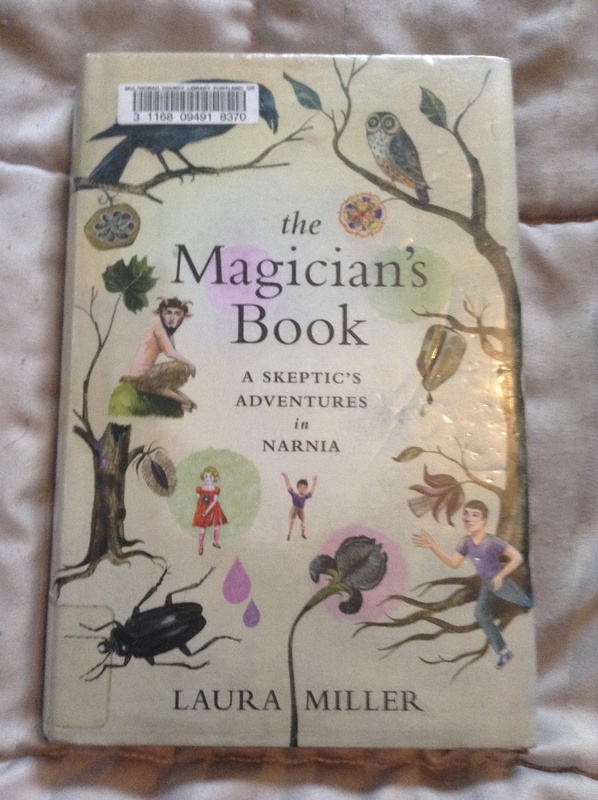 The jacket blurb says, “…the first book we fall in love with shapes us every bit as much as the first person we fell in love with.” For Laura Miller, it was the Narnia books by C.S. Lewis. That got me thinking–what books did I most love as a child? For sure, not Narnia. 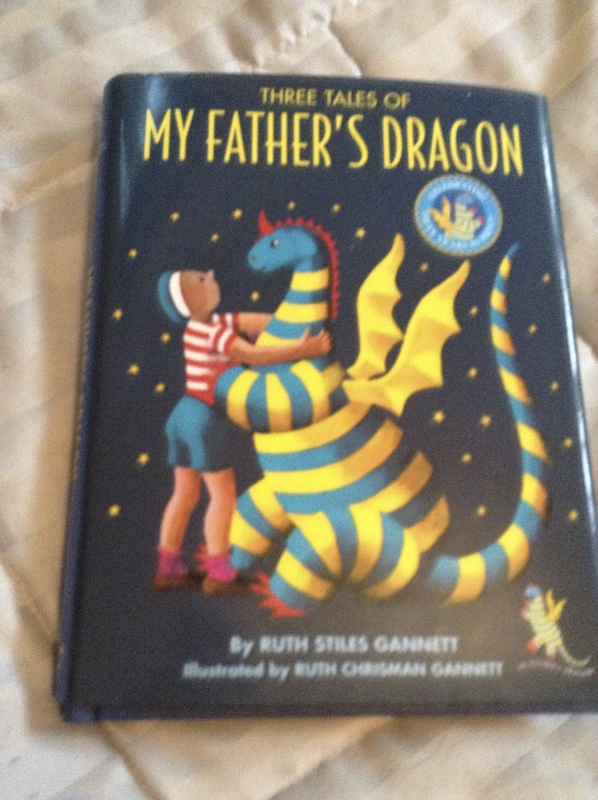 The first books I checked out of the library over and over and over again were Ruth Stiles Gannett’s Elmer Elevator stories: My Father’s Dragon, Elmer and the Dragon, and The Dragons of Blueland. They were published between 1948 and 1951 and are still in print. I fell in love with Boris, the blue-and-yellow striped dragon. He was nothing like a conventional dragon; he looked like a cuddly stuffed animal. Elmer, the 9-year-old hero, was amazingly independent and responsible. The lists of supplies he packed for his rescue missions were unexpected and hilarious–pink lollipops, chewing gum, magnifying glasses (to better see fleas) and hair ribbons. I also loved horse stories like Black Beauty and Marguerite Henry’s King of the Wind. Frances Hodgson Burnett’s The Secret Garden started a lifelong love of gardening and of mysterious doorways. I didn’t read the Narnia books until I was older. C.S. Lewis has an engaging, almost conversational writing style. He talks directly to the reader and draws you right in… then he bludgeons you over the head with his heavy-handed religious imagery and his proselytizing agenda. Laura Miller’s extremely well-researched book explores Lewis’s life and his friendship with J.R.R.Tolkien. It brought home to me everything I didn’t like about university. I have serious problems with elitist academics and their continuous bickering, criticizing each other about things that have no connection to the way we live our lives and how we treat other people. What really got me while reading this book, besides the academic rivalry and stubborn old farts bickering back and forth, is the way different books and poetry resonate with different people. What hits one person on a deep level (Lord of the Rings for me) will strike someone else as shallow and just plain bad. Laura Miller and I don’t have the same taste in literature, but this book of hers was a fascinating read that I couldn’t put down. Tags: Authors, Children's Books, CS Lewis, JRR Tolkien, Literary criticism, Narnia | Permalink. Oh wow. I’ve never seen these books before. I’ll have to check them out.